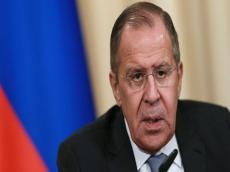 Russian Foreign Minister Sergei Lavrov will visit Azerbaijan to attend a meeting of the Council of Foreign Ministers (COM) of the Organization of the Black Sea Economic Cooperation (BSEC), which will be held on December 14 in Baku, said Russian Foreign Ministry spokeswoman Maria Zakharova at a press conference. As she said, the meeting will sum up the results of Azerbaijan’s chairmanship in the BSEC for the first half of the year. "A wide range of issues of the regional agenda in the field of economic cooperation, including such pressing sectoral issues as transport, energy, agriculture, science and technology and health care, will also be considered," Zakharova said. She noted that Russia will use the upcoming event to promote a unifying agenda and popular proposals in support of the BSEC objectives. Among these objectives is coordination of the framework for the development of electronic commerce and the implementation of the "single window" initiated by the Ministry of Economic Development of Russia. Azerbaijan assumed the chairmanship of the BSEC at the 38th meeting of the organization’s Council of Ministers of Foreign Affairs, which was held on June 27. The Black Sea Economic Cooperation as an interstate association was established in 1992 at the Istanbul Summit of Heads and Governments of the Black Sea region states. BSEC is a regional international organization focusing on multilateral political and economic initiatives aimed at fostering cooperation, peace, stability and prosperity in the Black Sea region. BSEC Headquarters is located in Istanbul (Turkey). With the entry into force of its Charter on May 1, 1999, BSEC acquired international legal identity and was transformed into a full-fledged regional economic organization: Organization of the Black Sea Economic Cooperation. With the accession of Serbia (then Serbia and Montenegro) in April 2004, the Organization’s Member States increased to twelve. An important aspect of the activities of BSEC is the development of SME and entrepreneurship in the member countries. It currently includes 12 countries, namely Albania, Azerbaijan, Bulgaria, Georgia, Greece, Moldova, Romania, Russia, Serbia, Turkey, Ukraine and Armenia.